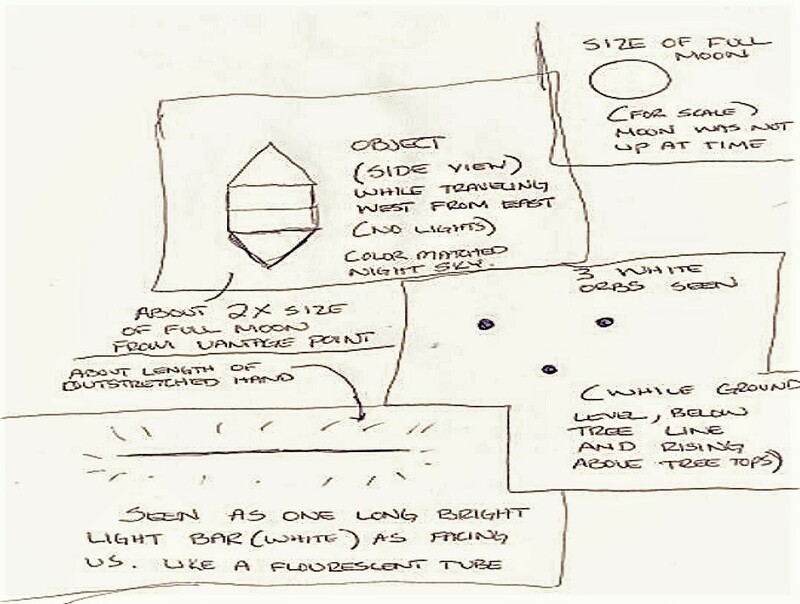 This is a witness account from January 5, 2000…the UFO incident in which police officers in Southern Illinois chased a triangle shaped craft across several counties. 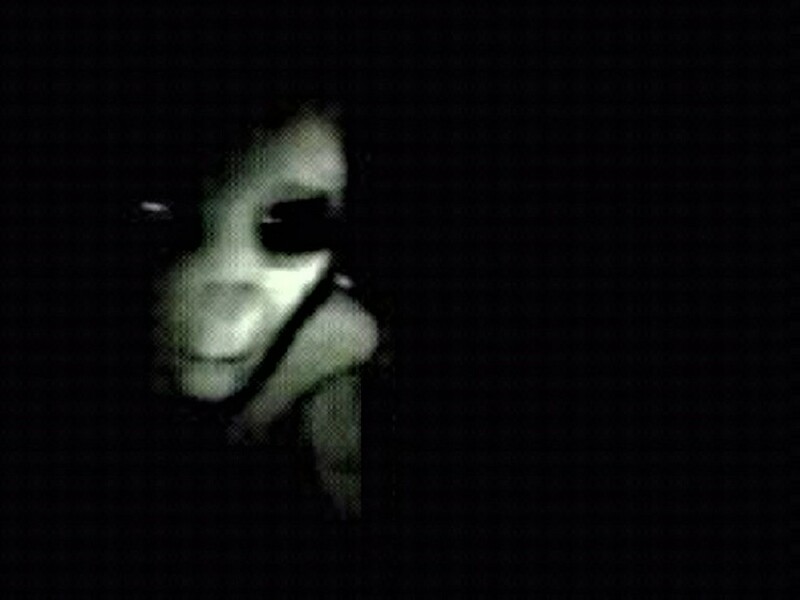 This witness sighting was in a rural area of neighboring Southern Indiana, seemingly before the Illinois sightings. NOTE: The above image is CGI. 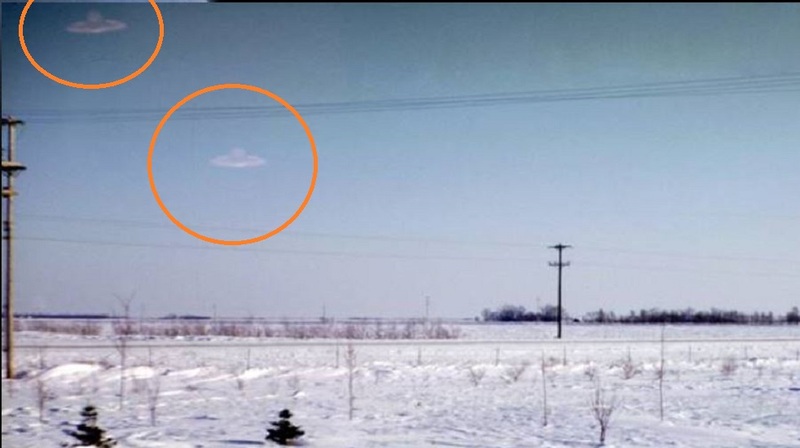 We were driving along a road near Unionville, heading east…when we saw this object hovering over the woods just ahead. My husband stopped the truck and ask me to take a picture. Couldn’t tell what it was…first appeared some smoke around it in the ring shape. Appears to have smoke below and around the object. It appeared as a figure 8 on its side. It remained in one spot then simply disappeared. No motion just gone. If you zoom in on the attached image appears ring mass floating in the air. We though it a group of birds, or a smoke ring from a ground explosion but hearing non or seeing nothing In the area further eliminated any known source. After talking with friends a same object was seen in South East mo on the same day about 70 miles from our sighting location. Hauptstuhl, Rheinland-Pfalz, Germany … I suffered a headache at around 11:00 pm so I decided to go to bed. I entered my bed room and my head began to feel heavy and eyes began to hurt with a intense pain. I got into bed and almost instantly I fell asleep. What seemed like seconds later I heard the TV and the Play Station 4 turn on down stairs. Upon hearing this I thought maybe my wife was home from work. I realized that couldn’t be possible because she didn’t get off until later that day. Fully aware of what was going on (but obviously still tired) I tried to get out of bed but found myself unable to move at the slightest. Sleep paralysis had been common for me throughout life so at first I wasn’t too worried but this was different. I began to panic and try to force myself out of this paralysis but every time I used energy I heard a voice inside of my head tell me to stop moving and sleep. I knew the voice wasn’t my own because at the same time I was talking to myself in my head (almost yelling) saying “wake up now!” This battle with the other voice, that almost seemed to control me went on for about 15 minutes until I finally had enough. I said a quick prayer and promptly rolled over onto my back trying to catch my breath when suddenly I saw it! Please be aware: the incident below happened in a matter of seconds so I am trying to describe as best as possible. Directly in front of me on my window sill was a small figure. If I had to estimate it was maybe 3 feet tall. I did not see any eyes because the room was pitch black, but the silhouette of the figure was clearly visible because of the light that shown through the blinds. I believe it had its back towards me, one hand was raised and there was a bright blue almost white light that was casting through the window onto it. A quick flash was emitted and the being was gone, almost instantly that the being had left that my headache, eye pain, and fatigue also left. This experience has truly, truly changed my life. I have had other incidents in my life that now that I look back on after doing more research I believe we’re other visitations and or abductions. I appreciate you taking the time to read this and if anyone could offer me help or insight, I’d be very grateful. 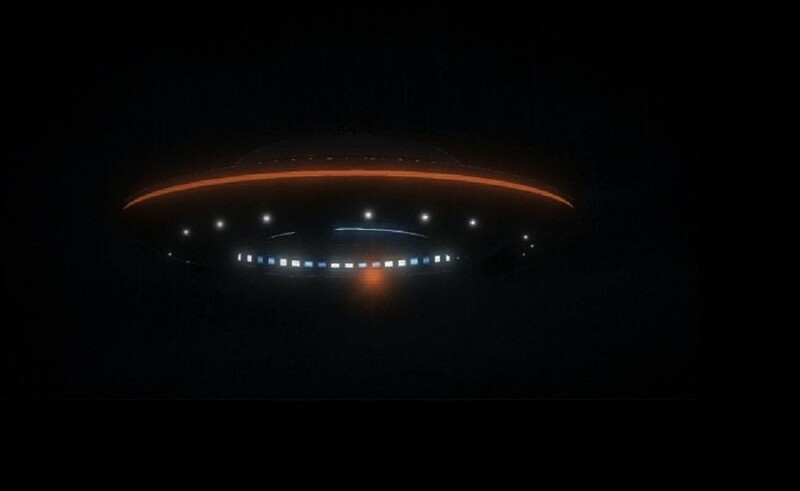 – MUFON….NOTE: The above image is CGI. I was on guard station in small building in Iraq in 2003. From the Samarra CMOC I looked out toward the Tigris river and saw what looked like a fire ball. 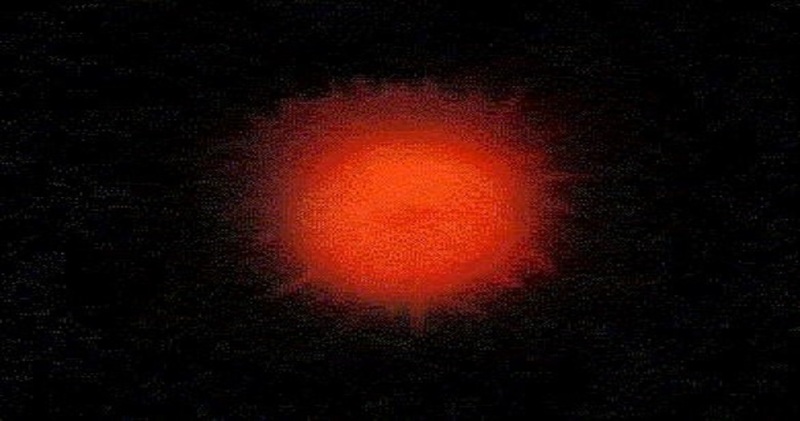 It looked exactly like some of these fireball orange pictures of the sun but was maybe anywhere from 30-60 foot in diameter. A solid sphere of fire. It raised up from what looked to be the Tigris river and moved very slowly and smoothly. It hovered maybe 50 foot off the ground then started moving parallel to the ground still very slow and smooth. Moved maybe 100 foot then started on an upward direction. It then almost vanished but looked like it took off straight up at a very high speed. I have been all over the world and was in the Army for 7 years. I have never seen anything like this ever in my life. I reported it and it was quickly dismissed. But a team, including myself, got put together within 20 mins and we went out to investigate. Nothing was found but the vegetation was very dense with very tall grass, probably about 10-15 feet. Never got an explanation and never seen anything like this again. This was around September 2003 in Samarra Iraq. I was on the front gate guard post around 10-11pm local time. It was very quiet with no one around anywhere since there was a curfew I am unaware of any type of ordinance that can do that as slow and smooth the object moved, maybe no more then 5-10 mph and very smooth. No noise was heard from it. I was within 100-300 feet or so of it. If you look at a map of Samarra and find the police station next to the cemetery, just over the main bridge and into the main city. I was looking from the front gate at about the front gates 10 o clock direction and toward the Tigris river. I would be willing to discuss this and possibly be willing to disclose my identity. Would really love to know what I saw since it’s bugged me ever since. NOTE: The above image is CGI. While taking the dog for a walk, at University Lake in Anchorage, we headed through a treed trail, and on to a clearing. After several seconds, my daughter said, Dad, look at the lights in the trees. To the north, I saw three white orbs in the shape of a triangle rise above the tree line. It appeared to turn West, and as doing so, the orbs turned into a long thin bright white light. Like a long fluorescent light bulb, but so much brighter. It then headed West and no lights were visible. I opened my eyes wide to let as much light in as possible (the moon was not above the horizon at the time). That is when I noticed the shape, very much like a box kite, but with triangles on top and bottom; essentially an elongated diamond. We stood there for about a minute after and headed back down the wooded trail talking about what we had seen. After about 40 yards, I said let’s go back. I was shining my flashlight on the tree line and my daughter said that if we see anything, she will record it with her IPhone. 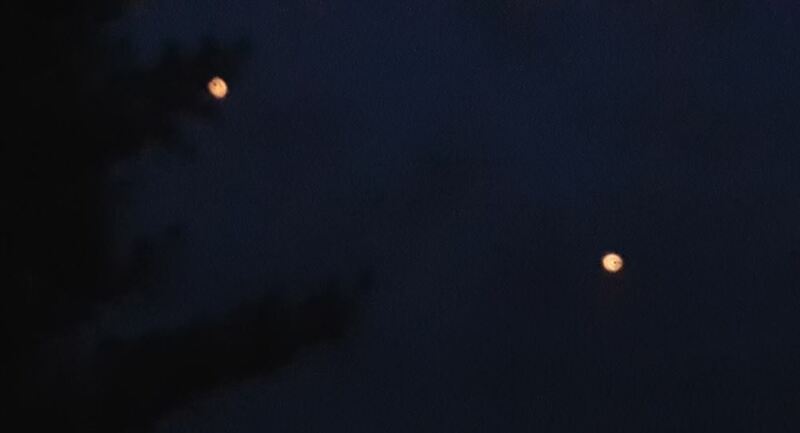 Once again, three orbs in the shape of a triangle appeared in the same spot slowly rising above the tree line. This time my daughter took out her phone to record and her phone died. She said it was at 60%. 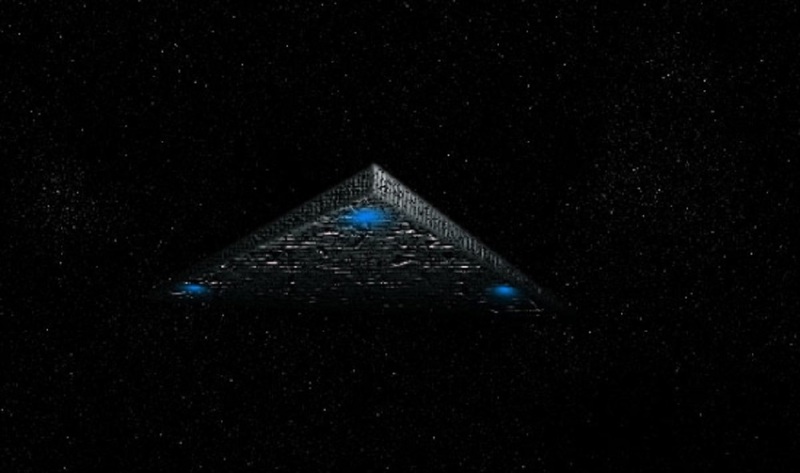 The same scenario as above played out, the orbs turned to one long bright light, then as headed West was just a dark silhouette of an elongated diamond until it went out of view (total time about 20 seconds each occurrence. At this point we left as it was cold. My daughters phone did not turn back on until we got home and plugged it in. it immediately showed 62% of battery power. NOTE: The above image is the witness drawing. 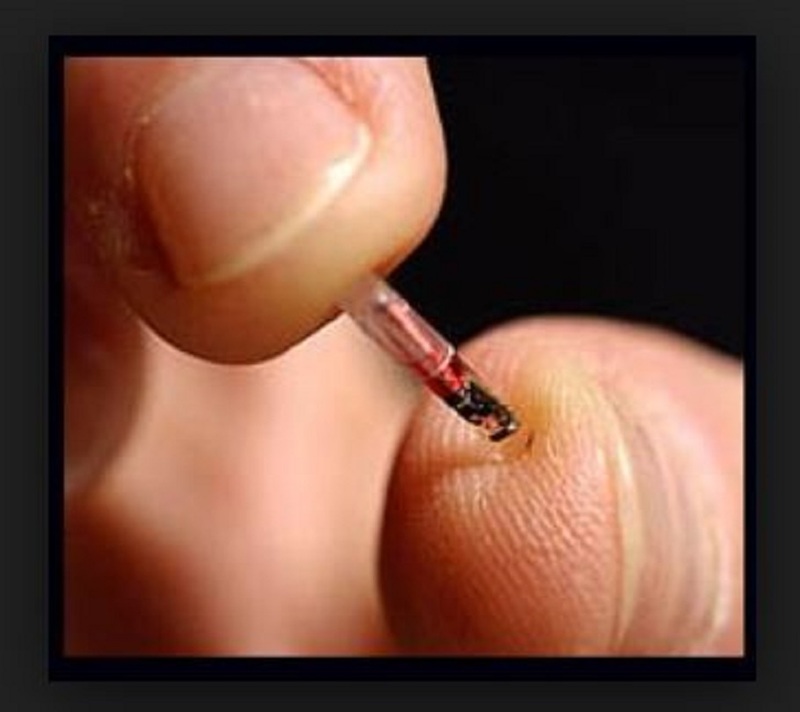 Many abductees have had small devices placed inside their bodies. Common locations are deep inside nasal cavities, behind the eye, in the back of the head and neck; or in the feet, toes, hands, or jaw. These implants are real. We have photographs, X-rays, and CAT scans of them in place. Several of them have been successfully removed by medical teams. Upon removal the implants sometimes disintegrate, but most often they don’t. It is believed these implants are used to monitor activities or the physical condition of the people in whom they are placed. Every indication seems to be that the implants are from alien beings. However, no one really knows for sure. Even those doctors who remove them and do research on abductions continue to use the term “alleged”alien implants. Wherever they come from there is little doubt something extraordinary is going on. So I’ll tell you some remarkable things about these implants, and then I’ll tell you about a couple of doctors who remove them. They have made some astounding discoveries. By the way, if there are any physicians out there, pay attention! The implants are made of a metallic substance. Some are small and round, the size of a BB. Others are no larger than a pin-head. They come in many different shapes: round, triangular, spiral, and thin as a fine wire. They are clearly visible on X-rays, and hundreds of X-rays of these implants have been taken and documented by researchers. Most of the implants found so far have been placed on the left side of the individual’s body. While in place, these implants are surrounded by an unusually strong covering of living tissue comprised of protein and keratin, the same stuff your hair and fingernails are made of. This covering is so strong and tough that surgeons cannot cut it with a hardened steel scalpel. This same scalpel can easily slice through bone. There is not anything on earth made by man that can match the strength of this simple outer covering. Cross section of an alien implant. Implants have a structure that appears to be ‘atomically aligned’. It is thought that this covering is so strong because all its atoms are atomically aligned. That is, all the atoms lie in one single direction, providing a level of strength not yet achievable by humans. The only creature on earth that can atomically align something is a spider; the tensile strength of a filament of spider’s web is amazing, which is why it can stretch so far without breaking. By the way, the tight-fitting space suits found on the alien bodies recovered from crashed flying saucers were also atomically aligned. 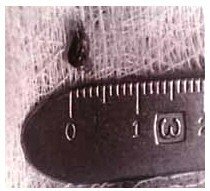 After an implant has been removed from a person’s body, it is then possible to cut through the tough outer covering, possibly because the aligned atoms and the surrounding tissue are no longer being charged or powered by the abductee’s electrical energy field. While in place, there are large bundles of very sensitive nerves surrounding and growing into the implant; specifically, these are the same types of nerves that allow your hand to hold a glass with the right amount of pressure so as not to crush it, or to hold it so lightly as to drop it. These implants are often found in places where these kind of nerves don’t normally grow, such as the back of the hand or in the jaw. Yet, an implant found in the jaw will be completely surrounded and penetrated by this kind of nerve tissue. Not only that, but in all the cases studied there was absolutely no sign of inflammatory response, either chronic or acute. There was also no wounding or scarring. There was no point of entry and no path of entry. 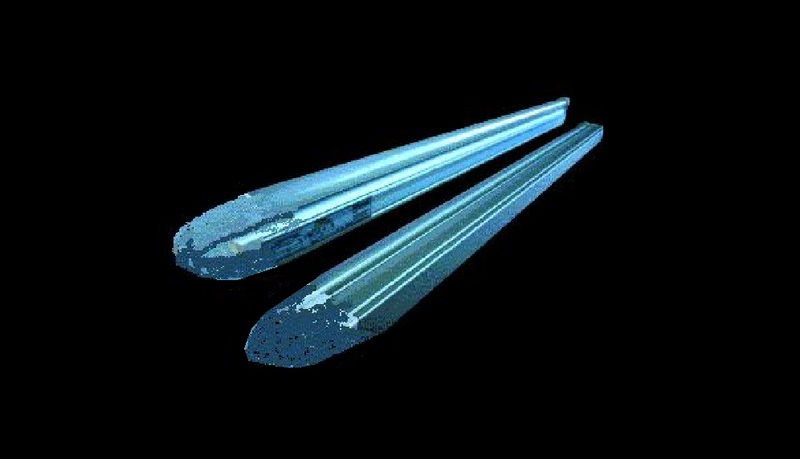 Consider this: If we could insert metallic devices into the human body without any inflammatory response, then we would have the capability of doing complete organ transplants without any concern of rejection! These implanted devices have been examined by some of the world’s leading metallurgy labs, including the lab at Los Alamos, New Mexico. 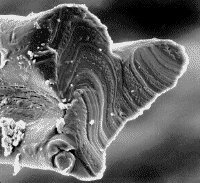 Without knowing what the implants were or where they came from, the lab at Los Alamos concluded that the implants must be pieces of a meteorite, because no such metallic isotopes are found on earth. They put this in writing, in their lab report. This may come as a surprise to some and something that many may find hard to grasp. Reports have surfaced from a reliable source that Dwight Eisenhower the 34th President of the United States Dwight Eisenhower actually met with aliens from another planet. Who is this source that some considered to be quite credible the late President’s own Great Grand-daughter, Laura Magdalene Eisenhower, Anyone who knows some of the backgrounds of this President would know he had an impressive military career before becoming President of the United States. Before his military career ended he would work his way up to the highest rank, there is that of a five-star general. He became a driving force during World War II on the Allie side. So, he would have had high-ranking military clearance, making him someone that would be briefed on highly secured matters such as alien encounters. 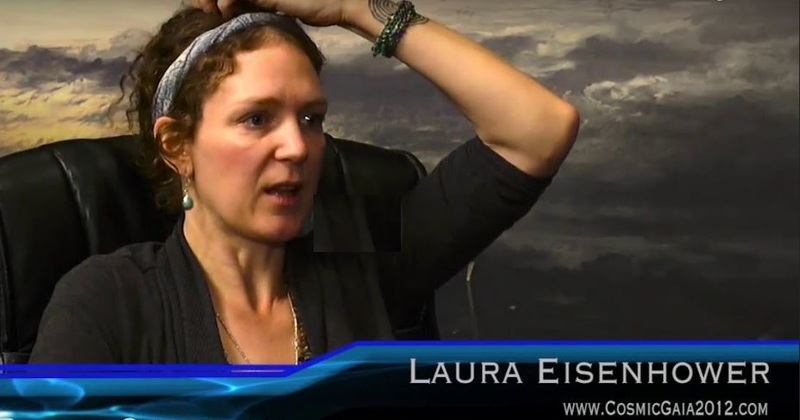 According to Laura Eisenhower around this period, Dwight Eisenhower had a meeting with actually alien beings, one of three she claims happened. At one of the meetings, it was reported that Eisenhower actually negotiated with one alien race to obtain technology from them in exchange for the aliens being allowed to abduct a few humans for research purposes with no real harm coming to the test subjects. There is now documented proof online that these meetings did exist after years of speculation being circulated. Now comes perhaps one of the most undisputed sources an actual family member of the late Commander and Chief. Laura Magdalene Eisenhower has taken much time to account not only her Great Grandfather’s encounters with extraterrestrials but her own as well. There are interviews now online of her discussing in detail what she knows about President Eisenhower’s meetings and her own. But even with her being such a close source to the President some question the credibility of what she is saying. But despite the naysayers when we stop to look at this and the period it could make sense. Didn’t the crash of a UFO happen in Roswell, New Mexico around this time? What really goes on at Area 51, which by the way came into existence around this time. So, when stopping to examine this perhaps the possibility of a then high ranking general who would one day be President striking a deal to stop an all-out alien invasion may not seem so impossible. I was lying in bed at about 2 am in the morning and looked out of my window and seen this strange looking light. 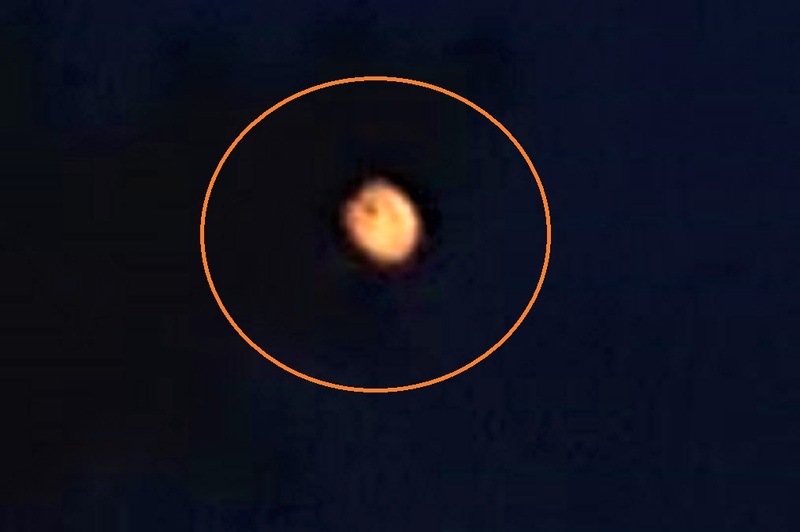 At first I thought it could be a Chinese lantern so I went and got my binoculars out and to my surprise it was a flying disk, but deeper that you normally see. It was like it had been distorted. There were multiple lights on it. I’m not sure if they were all the same color but some were on and some were flashing, no aviation lights. I grabbed my phone to try get a photo but it was too fast and I’ve a broken leg , so it took me time to get to my front door to try spot it again. I just seen a bit of it disappearing over houses. I went back in to my bedroom and went straight to my window and it was back were it had been and going in the same direction, so this could of been a second one or the same one I’m not sure, but looked the same. When I saw it through the binoculars it was made of what looked like metal panels.  It was the classic shaped flying disk but was deeper like it had been stretched from top to bottom very strange. NOTE: The above image is CGI. Thanks to http://www.mufon.com case files. (1)I was walking northbound from my parked truck to enter the building I work in. (2)I have always kept my eyes on the sky, even as a child. I have seen many unidentifiable craft in my days and my grandfather worked for Boeing and Rockwell. This helped create my interest in the sky watching at a very young age. (3) At first glance I thought that the object was a hovering helicopter, a bunch of balloons, or possibly a drone of some sort. The lack of noise or lights made me discredit the possibility of this object being a helicopter or drone. I work in the aerospace industry now and my company is 5 to 10 miles from LAX. There are multiple flight paths that I observe daily to my admiration of aircraft. There are also a large number of military flights that take place in this airspace, but the military craft are usually helicopters and not jets. They are always very loud and noticeable. V22 Ospreys fly over the 110 South and then hook a right westbound over Rancho Palo Verdes quite often as well. (4) When I first observed the object I was facing west from my location and I was under the impression that it was hovering in place. In retrospect, it may have been advancing towards my position because this was the only point in my observation that I was under the impression it may have been hovering. Once I noticed it was moving I also noticed it was doing so at a steady pace. It was traveling north east slightly (more north direction than east) and I observed it slowly adjust it’s path and change direction from north east to north west. It appeared to be attempting to morph. Despite the surface of this craft moving around in a very unstable and liquid type motion it’s velocity and trajectory were stable. It was almost like a cloud of heavy metallic black liquid but it’s overall shape remained relatively uniform. The nature of this object made it very hard to focus my vision on despite the fact that the craft was dark black and the grey clouds and sunrise made the sky very contrasted against the color of the craft. I felt as though it was tricking my eyes into looking at the clouds above it instead of the craft itself. 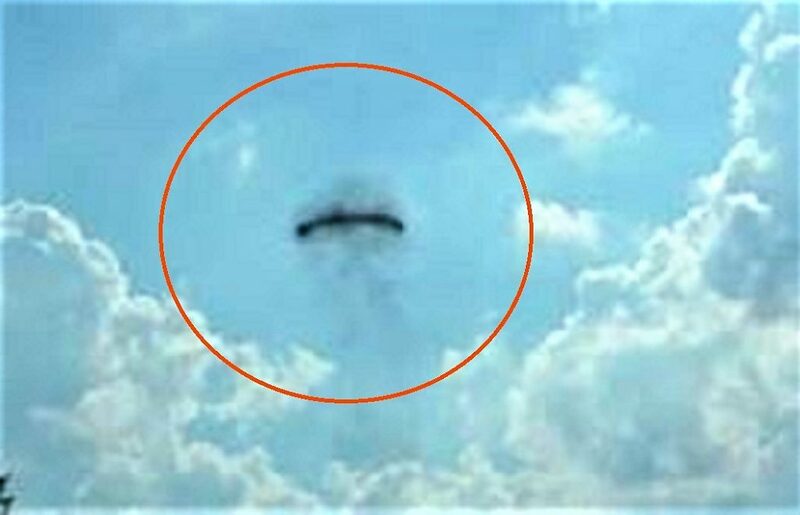 Shortly after it changed direction (north east) it began to shift it’s shape more noticeably and it went from a big morphing liquid blob to an elongated and very small boomerang type black craft that was no longer morphing. It seemed to become completely solid at that point. Once again with no lights or sounds. Almost immediately after it shape shifted, It began to shrink in size at a extremely impressive rate. 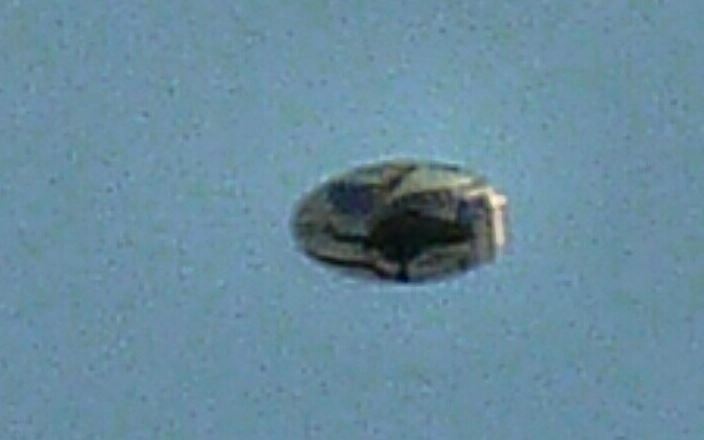 (5)I have witnessed many different types of unidentified objects and this was by far the most troubling and emotional sighting. I felt shocked and scared and for once I felt terrified instead of intrigued or awestruck. 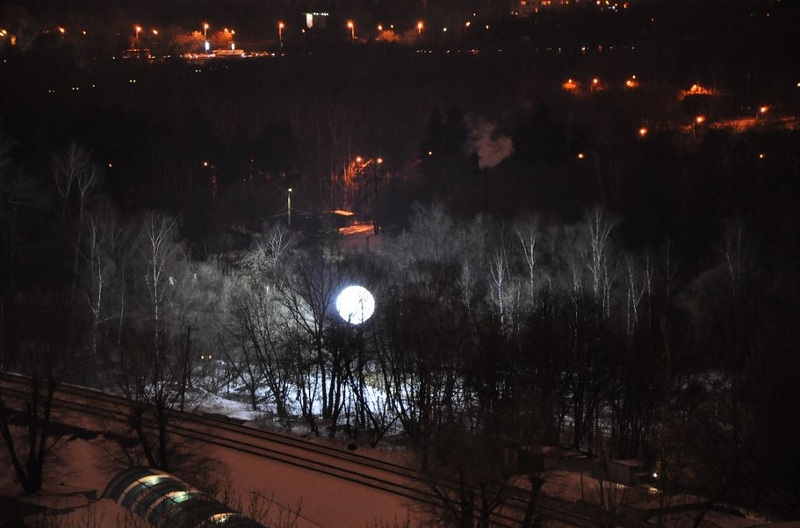 I have seen lights, orbs, but never anything like this. (6) It shrank in size until it was gone. Either it literally shrank, or it traveled away from me at a great speed. NOTE: The above image is CGI. A phenomenon was recorded over Plata (Huila) that left locals looking for answers. Three mysterious UFOs were sighted in the skies over the community. According to eyewitnesses, the objects remained static most of the time and as evening grew closer, they flew toward each other quickly until they vanished. 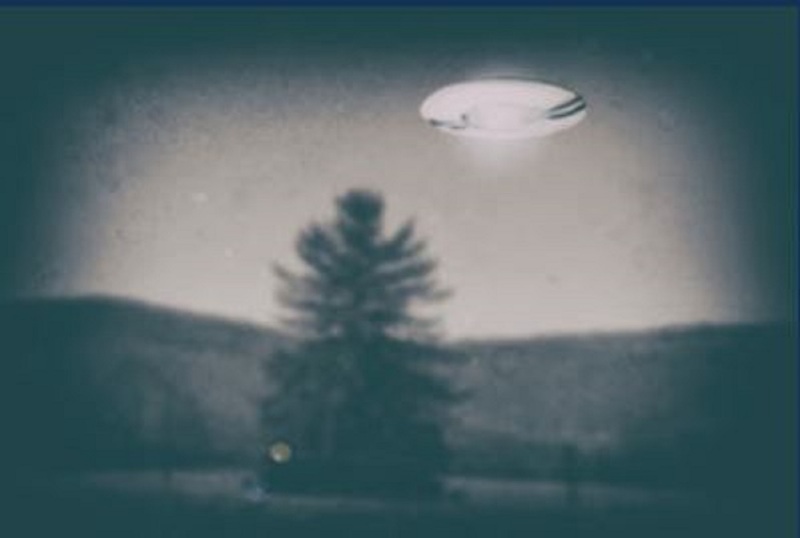 A witness to the event remarked: “Three unidentified flying vehicles remained static most of the afternoon until dusk, then flew quickly toward each other until they vanished,” according to Lucas Martinez. UFO sightings over Colombia are on the rise with many more cases reporting everything from small lights to possible structured craft flying over towns, municipalities and even some of the nation’s cities. 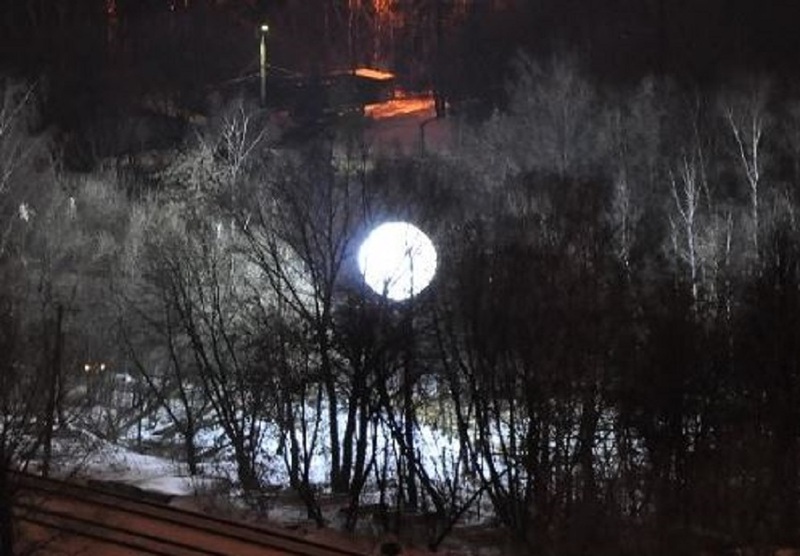 Photo shows white object, clearly from the witnesses. Hello…. I hope you are having a good night, I am the fianc of a marine who’s MOS is Mechanics for large helicopters and planes. I am familiar with a lot of air crafts because of it. I live in Ohio. I was traveling from the Kent University campus to my parents house in Uniontown, Ohio. 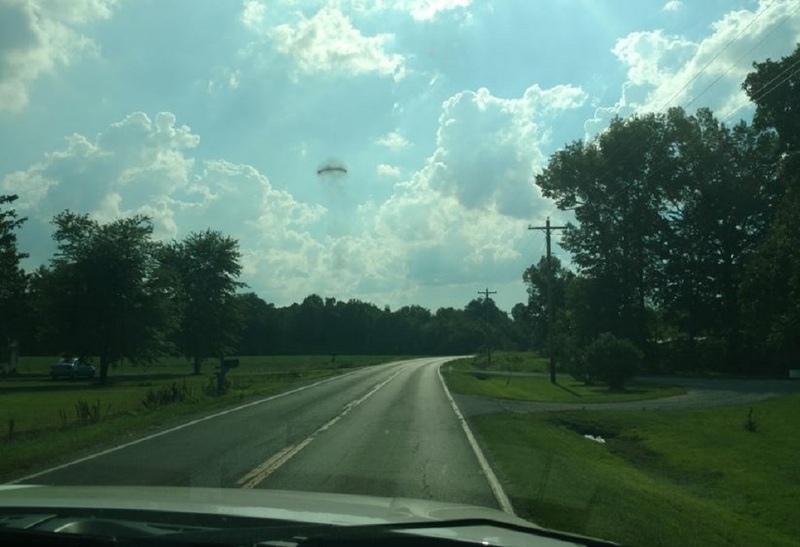 I was taking a lot of back roads and highways that cut through the countryside, it was mostly corn fields and trees with the occasional house. Neither of which was lit. I had been on the road for about 5-6 minutes after leaving the Kent campus when I saw the ufo. I first passed it off as a plane with its headlights towards me (the ufo was a fair distance away at this point so it looked small enough to be a plane) The only thing that initially made me think its flight path was weird was that it almost seemed to be hugging the tree line from far off, I thought that was low. I was stopped at a stop light at the time, and I made a choice to ignore it. But when the stop light turned green, out of the corner of my eye, I saw the object shoot across the sky at a speed I’ve never seen before, and it stopped about what I’m guessing gave it about 5 miles of distance between me and it. That fast movement scared the crap out of me. I immediately gunned it and took off down the road. I would occasionally glance around at the sky to see if it followed me because it scared me, but I thought I lost it for a while. I didn’t see it again till I turned onto the road called Switzer street in Uniontown. It was sitting dead ahead of me all the way at the end of the road. It looked like a very bright light at this point I couldn’t make out the shape of the craft because of it. I just saw the giant ball of light. At this point it was about half the size of a full moon. I gunned the gas again and made it to my parents house and ran inside. They knew I was coming so the door was unlocked. I didn’t tell my parents about it initially. I didn’t want them to think I was crazy but when I was leaving the house later, I asked my dad to walk me to the car because I was still unnerved. He agreed to. As we walked it showed up again between the tree line. This time my dad saw it first and told me to look in its direction. What ((words deleted)) is that my dad asked, as he walked a bit closer to the edge of our property. 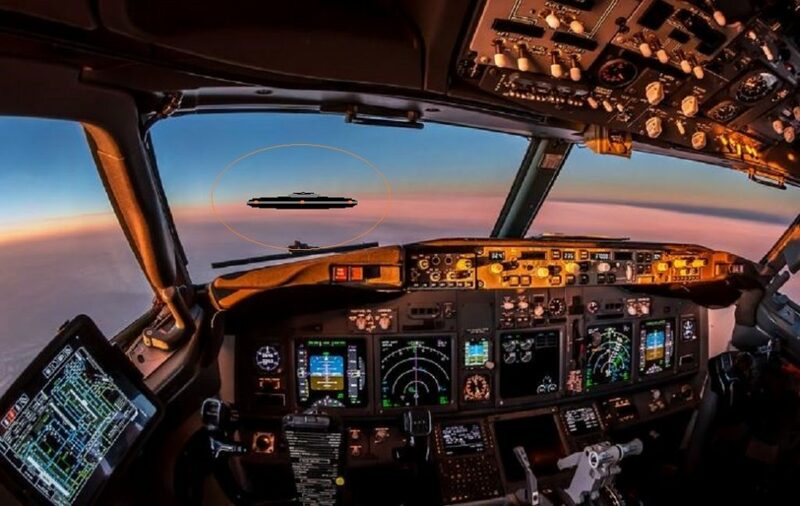 I think its probably just a plane. I responded. I really didn’t want to call it a ufo at that point, I was honestly freaked out and was trying to explain it away. That’s not a plane, it’s just sitting there not moving. Planes don’t do that.  He said, exasperated. No sooner did he say that did the air craft slowly start moving so it swung around and stopped above our back yard. Still at the same far distance. My dad was spooked at that point and told me to go back in the house with him. I refused, I wanted to get back to Akron. I did not want to stay in the country side anymore. He argued with me, but eventually let me go, if I promised to call him as soon as I got back. I agreed and climbed into the car and locked the doors. I watched dad run back inside. When I looked up at the sky again the ufo was gone. It was a clear sky tonight. That shouldn’t of been possible for it to just disappear like that. I felt a pit in my stomach I did not like what was going on one bit. I pulled out of the drive way, paranoid, and still watching the sky. I took off and turned on to a road called Cleveland, Heading back towards Akron. It was a few minutes before I hit my first stop light. It was a red light again. That’s when the ufo showed up again this time it was close! It was directly above the power lines that were running up the side of the road. It turned out its big light and it was replaced with a bunch of small red and blue ones that traced the length of it. It was very long, almost cigar shaped but thinner. The lights were evenly spaced out. Thanks to the lights I could see the ship was about as big as two commercial planes put together. It had to be at least be 1000 feet in the air still. Which only leads me to believe it If it had landed, it would have been a crap ton bigger. I gunned a red light to get away from it. I didn’t see it again till I was merging on the highway. At that point it was around 10:40pm ish. I saw the same bright light as I did before, only this time it was at the same distance as it was when I first saw it. I nervously watched it, it moved out of my sight again, just as I was getting on to I77. I did not see it again. I called my dad when I got home and explained everything that happened and he gave me your organization’s number and told me to report it. I was also asked by the man I talked to on the hotline to give the ufo’s point of elevation. I am not sure what that is, but I will ask my fianc when he is off duty. He is stationed in Japan right now, and they are 14 hours ahead of us, so he’s in the middle of his work day. But I will include the point of elevation in an email along with a drawn picture of the ufo. I just need to find a printer to scan it into. I was unable to get a physical picture of the ufo because I was driving for most of this sighting. I hope this was helpful! Have a Good night! NOTE: The above image is CGI. 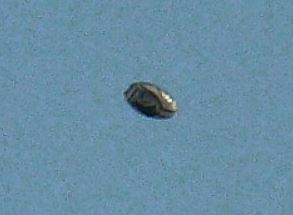 Description: Shiny, silver disk witnessed high in sky above highway I-287 in New Jersey. 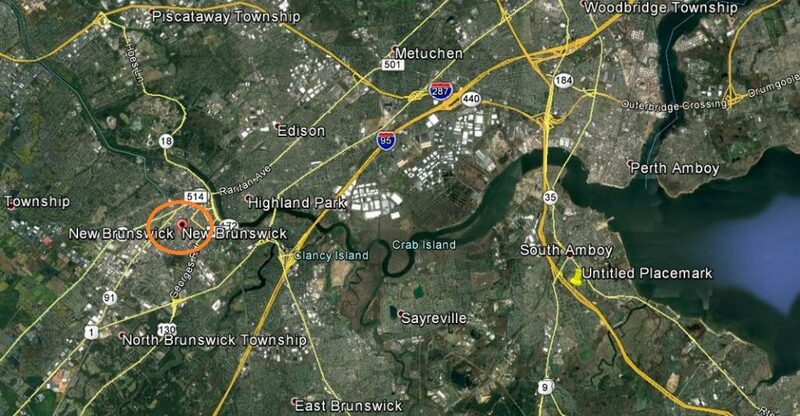 On my drive home early from my job as a senior research laboratory technician on I-287 South in New Jersey, I caught a glimpse of a shiny metallic object in the sky. The sky was crystal clear blue with not a single cloud in sight. At first I dismissed it as a plane, but with longer examination I realized it was a slim, nearly-flat silver disk with no vapor trail. It appeared to slowly hover to the South then in seconds it swiftly changed direction and zipped off to the East and completely vanished. I noticed other drivers had slowed and were looking and pointing at the same region of the sky where I witnessed the craft. NOTE: The above image is CGI.